At one time Syquest data cartridges were seen as the future of modern storage however they were overtaken by large media tapes. 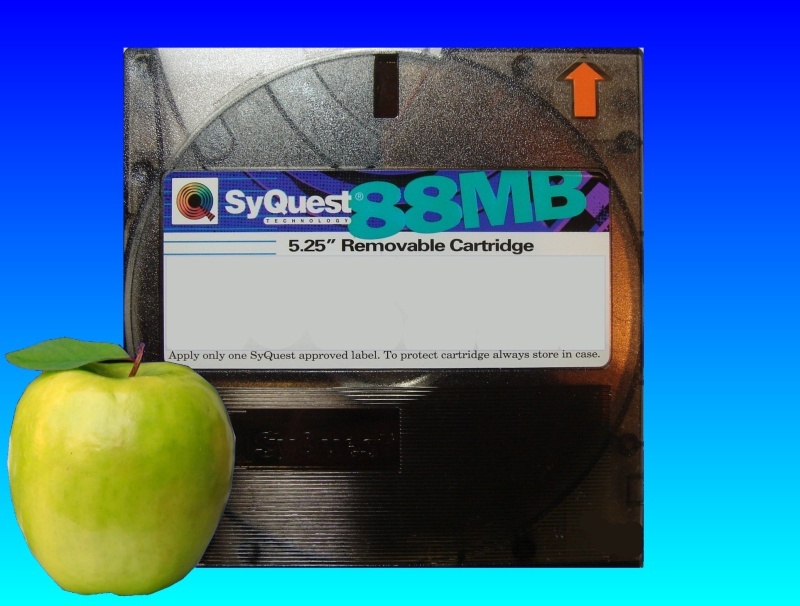 The Syquest disks still hold much useful data from the past and frequently we recover Apple Mac files and documents stored on these Syquest data cartridges, often restoring the files to CD or DVD for use in modern Mac and PC's without Syquest Drives. If you need a Syquest Apple Mac Disk transfer files to CD service, then contact our friendly company. At one time Syquest data cartridges were seen as the future of modern storage however they were overtaken by large media tapes. The Syquest disks still hold much useful data from the past and frequently we recover Apple Mac files and documents stored on these Syquest data cartridges, often restoring the files to CD or DVD for use in modern Mac and PC's without Syquest Drives..